The strong plant with a height of 10 to 80 cm has 7 to 14 leaves which are dark green and rather broad. 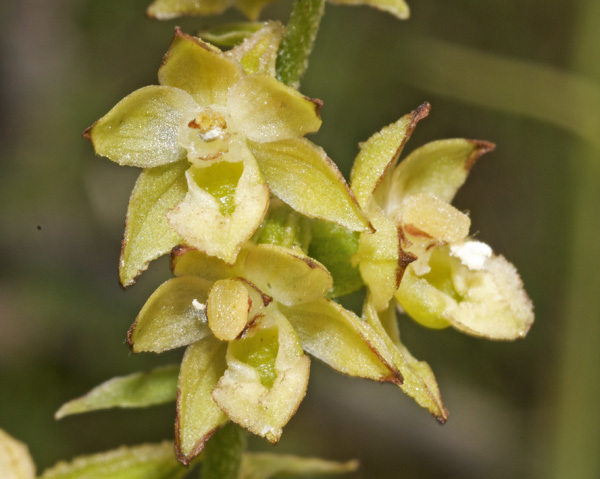 Depending on its environment, Epipactis atrorubens sometimes can also be quite delicate. 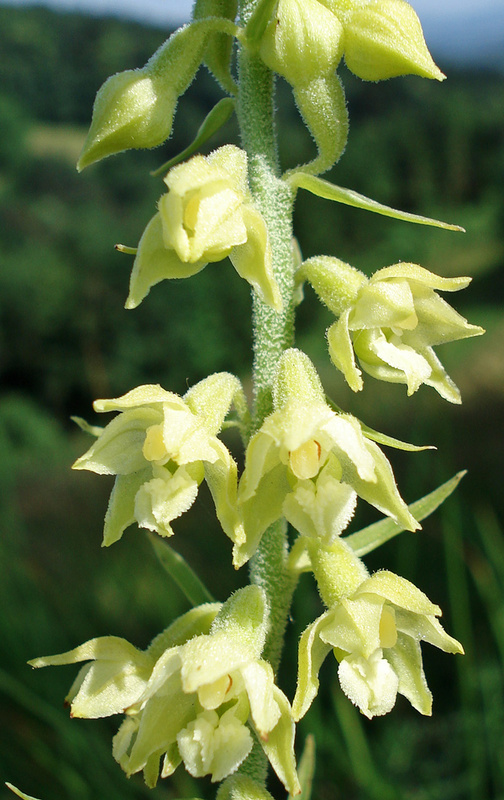 The long inflorescence carries 6 to 40 flowers which are quite small, wide open and sometimes smell of vanilla. 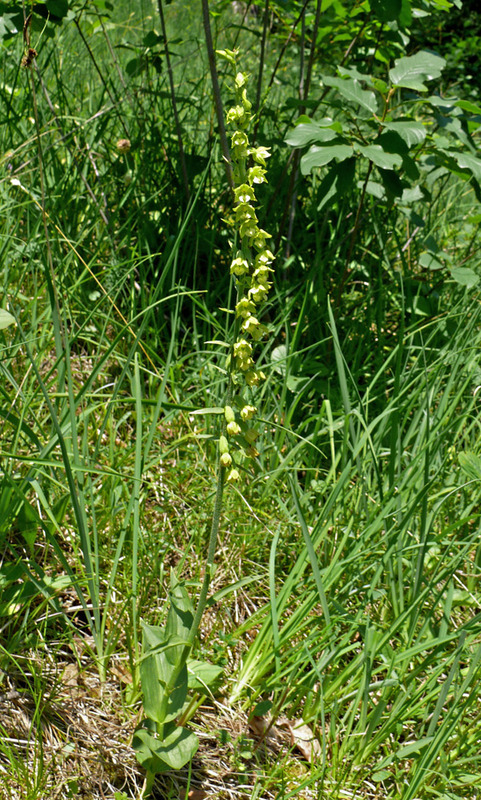 Sepals and lateral petals are rather broad and extended. The hypochil, i.e. the back part of the lip, is shaped like a bowl, the epichil, i.e. the front part of the lip, is heart-shaped, acuminate and bent downwards. Georg Franz Hoffmann (1760–1826) described the plant in his opus Deutschlands Flora oder Botanisches Taschenbuch (1804) as Serapias atrorubens. The valid description originates with the Austrian-Polish botanist Willibald Swibert Josef Gottlieb von Besser (1784-1842) in his Primitiae florae Galiciae Austriacae utriusque (1809). The purplish to red-brown colour of the flowers, which gave the plant its name, is rarely missing, These plants are not white, but yellowish-green. The German theologian and botanist Konrad Friedrich Ludwig Beckhaus (1821-1890) described this variant as Epipactis atrorubens var. pallens in his Flora von Westfalen, published in 1893; synonyms are Epipactis atrorubens lus. 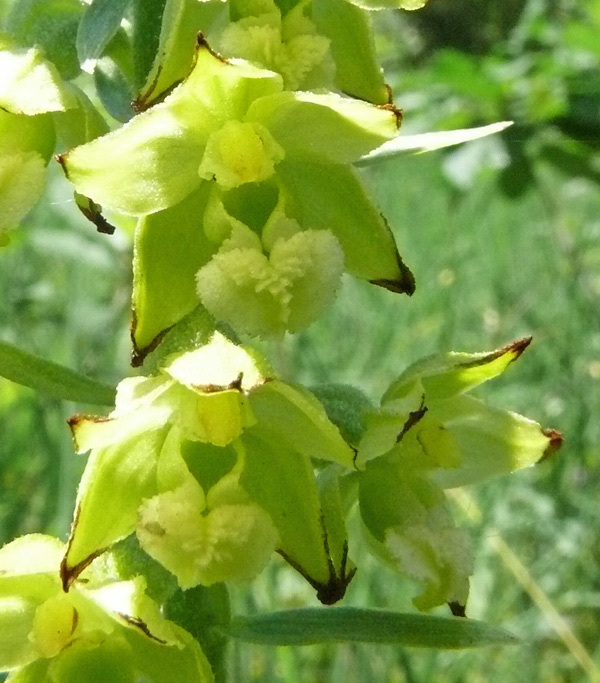 pallens and Epipactis atrorubens var. lutescens. 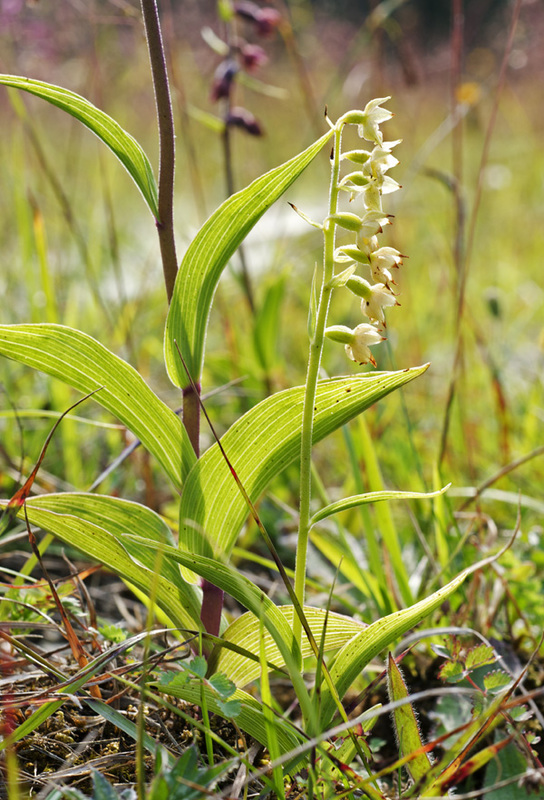 Epipactis atrorubens is growing on lime soil, mostly on neglected grassland or at wood edges, in large parts of Europe. Blossom is from June to July.